I bet your saying to yourself right now, “an OCTOBER Birchbox Unboxing in DECEMBER!” Let me explain. I resubscribed to Birchbox back in November because I really wanted to participate in the theme that they had. I found out after resubscribing that if you resubscribe before a certain date that you get the previous month’s box and that month’s box will be delayed for you. Therefore, I was charged at the beginning of November for the October Birchbox and received it about the middle of the month. I then was charged during the middle of the month and received the November Birchbox at the very end of November. I had other posts scheduled for that time so this has been the first chance I’ve had to share these boxes with you. 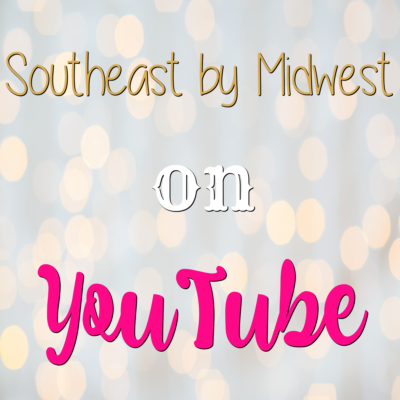 Make sure to check out the October Birchbox Unboxing video (above or click here) to see some of the changes I’ve made to my videos. I’m super excited about them and hope you like them as well! 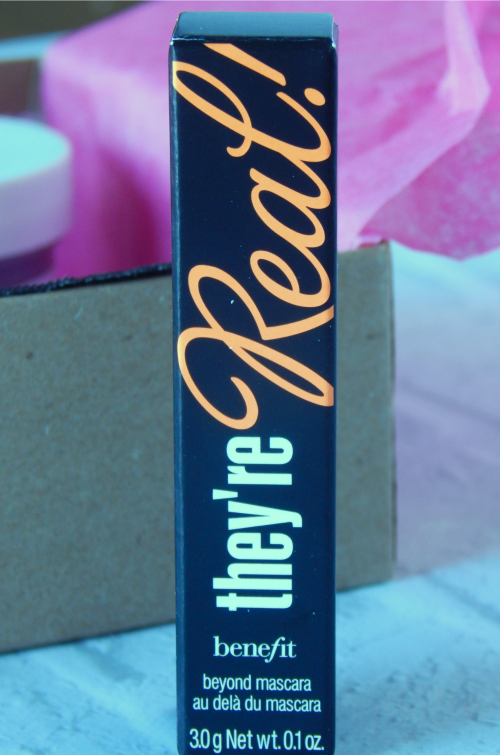 As I mentioned in the video the Benefit They’re Real Mascara does not actually count as an item in my October Birchbox. I used a coupon code when I resubscribed that got me this item in addition to what I received in my box. Due to this I’m not including it in the value of my box, however, I still wanted to share it with you. The first item that I actually received in my October Birchbox was a bottle of clariSEA Rapid Detox Exfoliant. 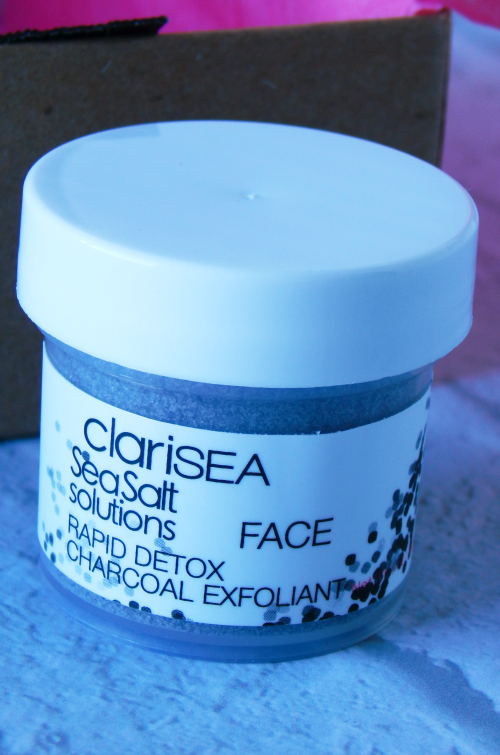 The clariSEA Rapid Detox Exfoliant has sea salt and bamboo activated charcoal, both of which help with blackheads and oil. The clariSEA Rapid Detox Exfoliant is a super fine powder that you mix with your favorite cleanser or water, massage onto your face, and then rinse off. The next item that I received in my October Birchbox was the Perlier Body Balm in Lavender. I’ve reviewed a Perlier lotion before (you can read that here) and really liked it. I knew when I saw this that I would instantly like it as well and I haven’t been wrong so far. 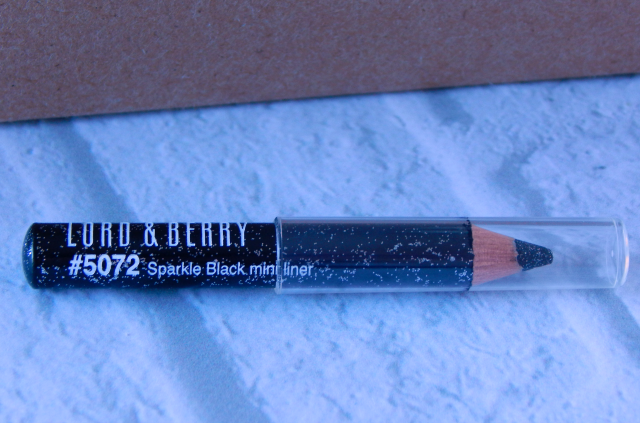 Next I received the Lord & Berry Paillettes Eyeliner. This is a black eyeliner with some sparkle in it. It is absolutely stunning in person and I love it. Even though the full-size of this is $18 it is, more than likely, something I will be purchasing when this runs out. 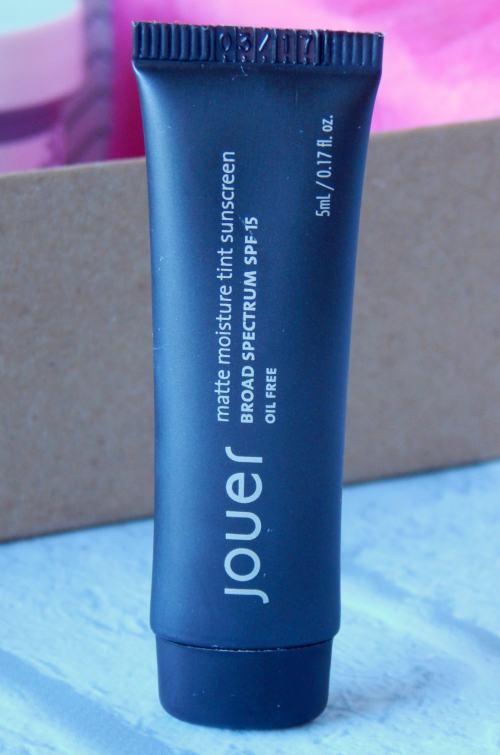 The next item I received in my October Birchbox, and my most anticipated item once I could sneak peek my box, was the Jouer Matte Moisture Tint. I have wanted to try this product since I first heard about but have just never made the commitment to buy it. 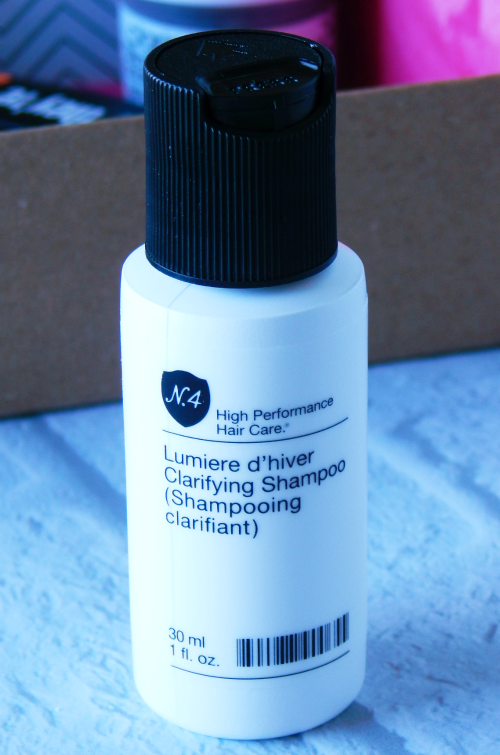 I was so excited to receive this in my box and I can already tell you that this is going to become a go-to product. 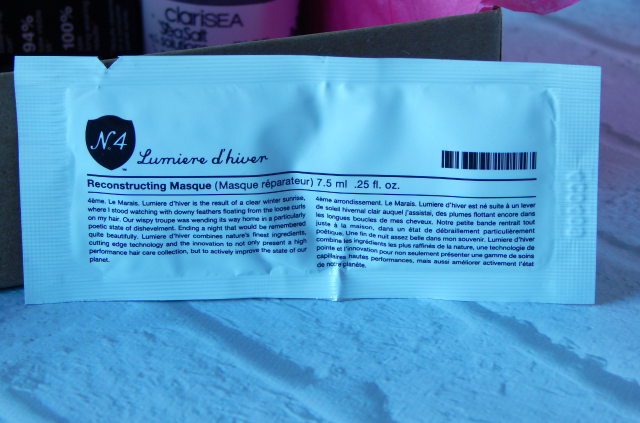 The last item, which was technically a bonus item, I received in my October Birchbox was the Number 4 Reconstructing Masque. Usually I get very ticked off when I receive packets of product. I find that it’s hard to get an accurate usage of them to decide if I want to buy the full-size product, especially since Birchbox tends to sample more expensive items. That being said, when it’s the extra item in the box I feel that I can’t really complain what kind of package it’s in because I only pay for the five previous items so this item no matter the packaging this item is an addition to what I pay for. Also, this being a masque I can actually throw this in a small Ziploc and put it in my shower caddy. My October Birchbox cost me $10 and I received $23.65 worth of products. My favorite item from this month’s box would for sure be the Jouer Matte Moisture Tint as it’s been on my want list for ages. I didn’t really have a least favorite item from this months box but if I had to choose one I’d say the Number 4 Reconstructing Masque only because it was in the foil packet. Make sure to come back on Friday to see what was in my November Birchbox! Looks like an awesome box. That Shea Butter looks amazing! You got an awesome box and that mascara is my favorite! 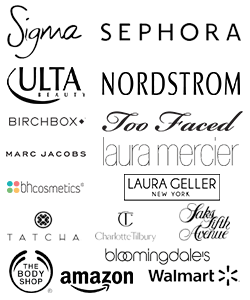 I let my Birchbox subscription run out a few months ago, so I might have to sign up again! I could really use that exfoliant. That’s the part of the box I’m most intrigued with this time. It’s a really intriguing product. I mixed some in with my Michael Todd Cleanser and it made it even more amazing! Oh super jealous of the Benefit mascara! I bet that stuff is amazing. 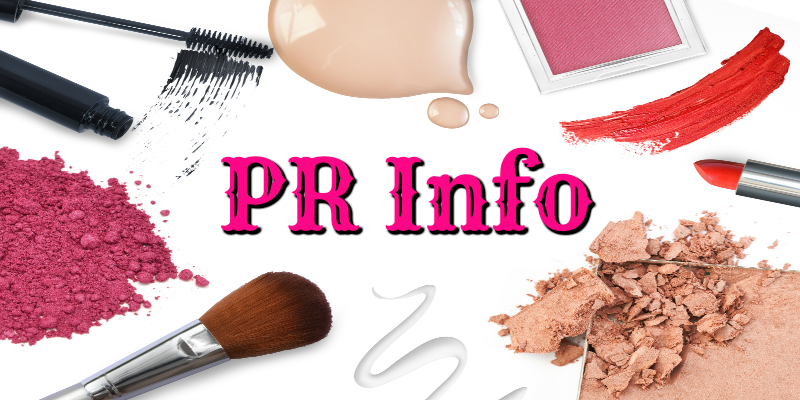 I haven’t tried Birchbox yet, right now I’m testing out Beauty Box and Ipsy. The Jouer Matte Moisture Tint should be a good product now. It can keep your skin from looking more vibrant and can go on with different skin tones. If you like being exposed to new things it really is a great deal. As a beauty blogger I love getting new beauty products that I never would have picked up myself. I think I have the same taste as you. Some of these products are my favorite. The small size can be taken anywhere. I absolutely love Birchbox! I received some of those same items in my October box. I haven’t tried the Clarisea exfoliant yet, but it’s on my counter ready to be tried soon! 🙂 I love that mascara and use it everyday (I’ve purchased it several times. I’m also really enjoying the sparkle eye pencil! This looks like a great box. I love the Sea Salt face exfoliant the best! I really need to get my hands on something like this! Looks like a great box this month. I have the Benefit They’re Real mascara, it’s great but so hard to get off! Great Products! I personally wanted to try clariSEA Rapid Detox Exfoliant! I will definitely grab one this weekend! So fun! I have always wanted to try birchbox! That’s awesome. I am a huge Shea Butter fan. I’m really interested in that eye liner. It looks gorgeous in the photo. I can’t believe what a good deal Birchbox is! Ohhh! I love that mascara! Ohhh, I love Shea Butter lotion and that mini liner looks fun! Seems like an awesome box! looks like some great products in those boxes. thank you for sharing. I really want to try the Charcoal exfoliant! Omg I love birchbox!!! Always such fabulous stuff inside!! That mascara is my FAV! This is an awesome box and for an amazing price too. The Body Balm and the eyeliner are the things I would love to try the most. Thanks for sharing. Such great products! I need to get a birchbox! ohhh this looks like a great box of goodies!